In Dynamics 365, an activity (phonecall, task, email, appointment) can either be associated with a single person or a group of person which represent the Activity Party. An activity can have multiple activity parties. 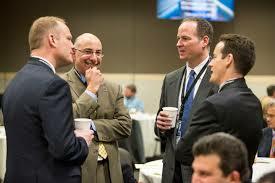 For Example, an email can either be sent to CRM Contacts or CRM User or Queue. So there must be such type of field available in CRM which can refer to multiple entities as Lookup can only be associated to only single entity. Hence Party List comes into picture. When you add any Party List type of field on the CRM form, you may notice that these fields look like Lookup fields but may function a little different. For example the Email's From and To fields let you select multiple records of the same or different type. CRM Activity Party List field is a special type of lookup field which refers to multiple entities. To hold or store these multiple entities references, Microsoft has provided one special type of entity named Activity Party. Activity Party, has one special field called Party Id. which has the capability to store multiple entities references like user, contact, account, lead etc. Hence, if we have to get/set value in Party List Field, we have to interact with Activity Party Party Id field. So, we just have to remember, while getting or setting value in party list fields (to, from cc, bcc, regarding etc). We have to use Activity Party Entity and Party Id field. We can understand it better through code also. We are retrieving the value from Party Id field of Activity Party entity, which holds the record’s Guids which was selected in Email’s FROM and TO fields. We are first passing the value in Party Id field of Activity Party entity and then setting it’s Entity reference to partylist FROM and TO fields. For demonstration, I have hard-coded the record Guids. However, in real time you'll have to pick these values dynamically based upon your requirement. For demonstration, I have taken the example of Email Activity Entity and it's To and From party list fields. Same code/logic can also be used for other activities and party list fields. Thanks for your time. Please do share your valuable feedback. It means a lot for me. This article shows how to add a record from one queue to another. //Execute the created global action using Web API. We all grew up learning Functions in C#. A Function allows you to encapsulate a piece of code and call it from other parts of your code. You may very soon run into a situation where you need to repeat a piece of code, from multiple places, and this is where functions come in. In the same way, Azure Function is a function (can be written either directly in Azure or through Visual Studio), which allows you to encapsulate a piece of code on cloud and can call it from any platform. Technically, Azure Functions is the on-demand execution of functions or small fragments of code based on events. it is a serverless compute service that enables you to run code-on-demand without having to explicitly provision or manage infrastructure. Use Azure Functions to run a script or piece of code in response to a variety of events. Since we are dynamics people and talking in the context of Dynamics CRM, Therefore we understand the Azure Function through one Dynamics CRM requirement. Being a dynamics developer, you would like to keep the web service calling logic/code at one place instead of writing it repeatedly in Plugin, Custom Workflow, Custom Action and WEB API. Hence, Azure Function is a piece of code which we can keep it on the cloud and can call it from anywhere (inside and outside CRM) on a particular event to fulfil our requirement. Someone might have a query that, why I need Azure Function just to keep my logic/code on the cloud? I might also go with CRM Custom Actions as well. Because Custom Action is also provided by Microsoft to reuse the code/logic in CRM. We can keep the logic/code in our Custom Acton and can call it either through Plugin/Custom Workflow or WEB API. 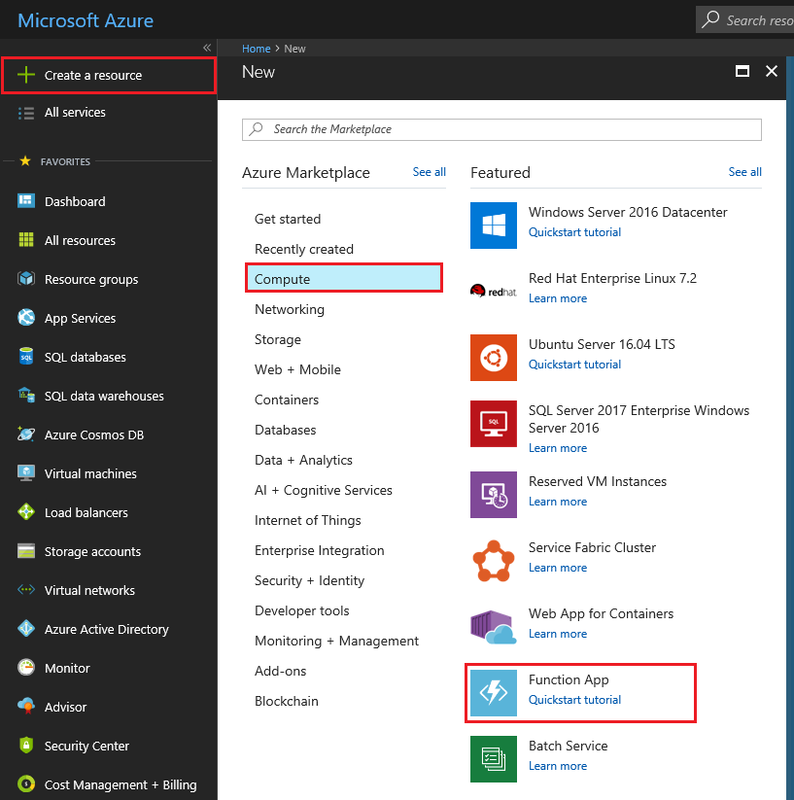 Then why Azure Function? As per my personal experience, In case of any error or issue, debugging of custom action is very complex and not have proper troubleshooting mechanism provided by Microsoft. Tracing of an error log is not possible in Custom Action using ITracingService. Custom Action is only limited to CRM, can't use it through other platforms and languages. Need Visual Studio to write the code. C# External Applications (Web, Console, Window etc). Those are all great options, but, for many years, they have been the only options available to us. And, yet, they all have limitations. Plugins can’t run on their own. Custom workflow activities have to run as part of the workflows. External applications need a server to run on. There is always a limitation. Now, we have one more option to extend the Dynamics CRM customization to a new level, which is Azure Functions. Monitoring and Tracking- We have access to execution log and if we want the result of previous executions, in the options of the function we can find the monitor. Scheduled the Logic - Azure function provide the provision to schedule the logic/code at a defined time interval. For example, in Dynamics CRM, the scheduled workflow has always been a problem? It’s been bugging us since the early days of Dynamics, and there has never been a good solution. There is still no standard/simple solution in Dynamics but stop thinking Dynamics.. think Azure Function. Retry the Logic - Azure function can be retried automatically in case of any error. Reusability - Code/logic can be called through various places (inside and outside CRM). 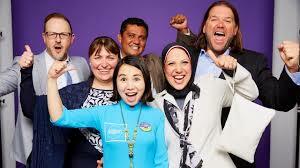 Support various Languages - Check this for more info. How to call Azure Function in Dynamics CRM? Create a Task which will store the Azure Function response on create of Contact record. Sign in to the Azure portal at https://portal.azure.com with your Azure account. You must have a function app to host the execution of your functions. A function app lets you group functions as a logic unit for easier management, deployment, and sharing of resources. 3. Use the function app settings as specified in the table below the image. 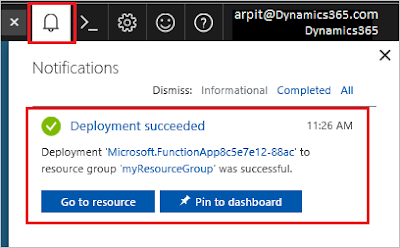 4, Select Create to provision and deploy the function app. 5. Select the Notification icon in the upper-right corner of the portal and watch for the Deployment succeeded message. 6. Select 'Go to resource' to view your new function app. A function is created using a language-specific template for an HTTP triggered function. Now, you can run the new function by sending an HTTP request. Paste the function URL into your browser's address bar. Add the query string value &firstname=<yourname>&lastname=<lastname>&email=<your email> to the end of this URL and press the Enter key on your keyboard to execute the request. You should see the response returned by the function displayed in the browser. 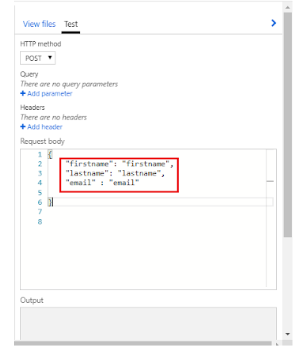 You can use Postman also in order to test your Azure Function. Also, you can directly test the response from Azure itself. When your function runs, trace information is written to the logs. To see the trace output from the previous execution, return to your function in the portal and click the arrow at the bottom of the screen to expand the Logs. How to Monitor Azure Function? Click on Monitor tab for the Function and select the log created for our test run. We can see the values for the parameters in the invocation details section. How Azure Functions Pricing Works? Supported languages in Azure Functions? Azure Functions are stateless in nature. Therefore even though we can use the standard.Net objects to cache values, they don’t persist if the Azure Function scales out or is idle for some time. In many cases, Azure Functions are used for doing some integrations with other applications. For example, we may have an integration scenario in which we make calls to OAuth Rest API’s. In these cases, we may need to preserve OAuth2 bearer tokens in Azure Function. Approach – We have some approaches for doing caching in Azure Functions. a) Using standard Memory Objects – For example, we can create static objects like the dictionary for caching the values. However as indicated previously, if the function is idle for some time or scales out, the cached value will be lost. // Branch when cache doesn’t exist. This would mean we need to regenerate it. b) Using Redis Cache – Its managed by Microsoft is highly scalable and provides super fast access to data. Performance wise it can be good but from the pricing perspective, it can cost more than the other options. I'll explain about the Redis Cache in my upcoming article. Best Practices of Azure Functions?